Tim Koch is leaning on the second lamppost. The River Thames between Putney and Mortlake is a busy place at present. 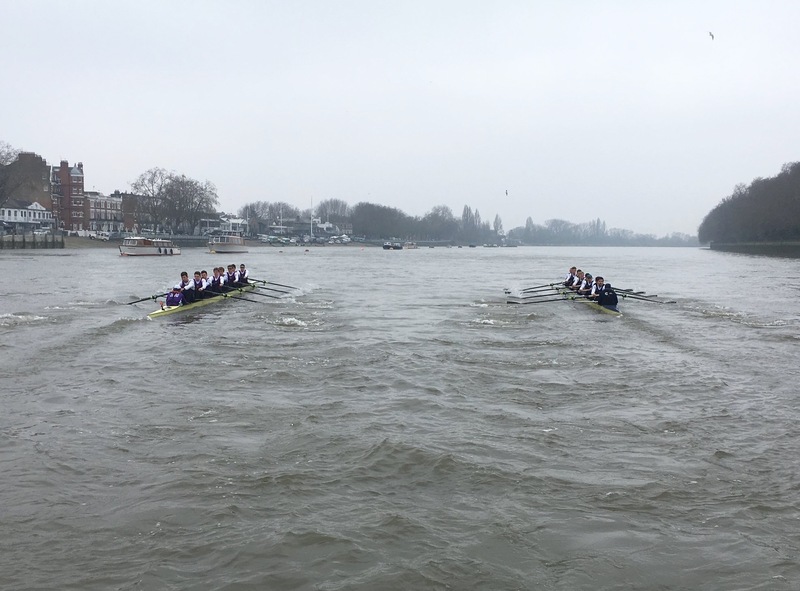 Crews are practising for both the Women’s Head of the River Race on Saturday, 10 March, and for the (men’s) Head of the River Race held on the following day. Only 24 hours later, the Schools’ Head will take place. 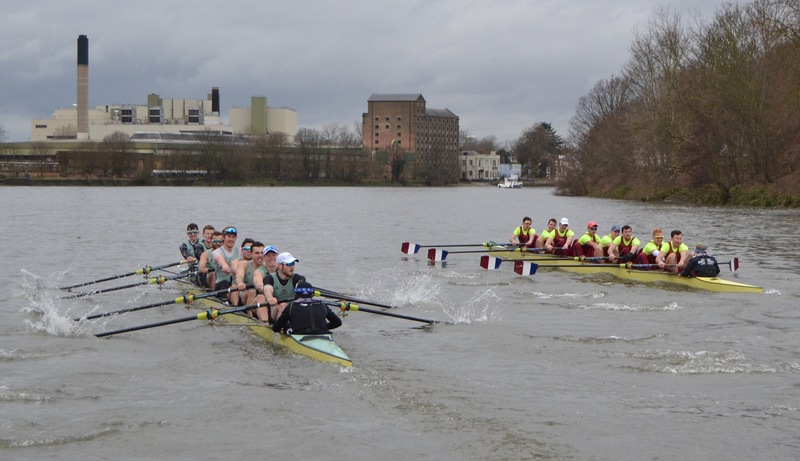 There is also a disproportionate amount of traffic produced by the upcoming Boat Race Day, even though it is an event involving only eight crews, about 972 boats less than the combined entries for the three Heads. 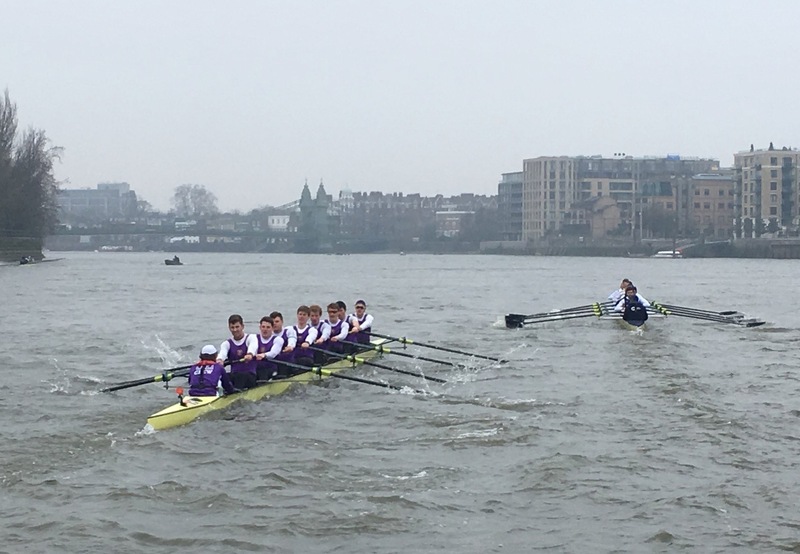 With three weeks to go before the Oxbridge clash, the weekend of 3-4 March saw the final fixture races between some Oxford and Cambridge crews and boats from top student and open clubs. 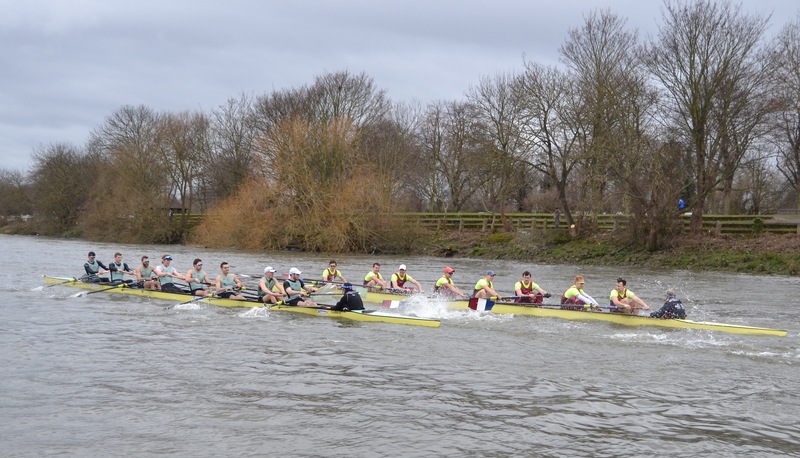 On Saturday, 3 March, Oxford took on the University of London (UL). Two weeks previously, Cambridge had convincingly beaten UL in three pieces over the course, the first by three lengths, the second by ‘several’ lengths, and the third by two lengths. Unfortunately, there was no press launch for the sole race from the Boat Race start at Putney to Chiswick Steps. 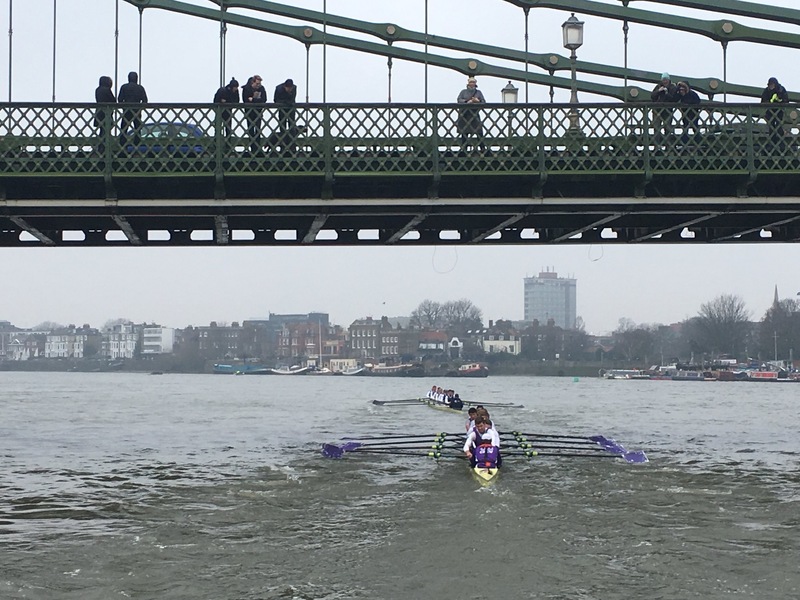 I photographed the fixture from Hammersmith Bridge and have taken the other pictures reproduced below (and also the captions) from the official Twitter feed, @theboatraces. Oxford are slightly quicker off the line, but UL have settled slightly sooner after the start. 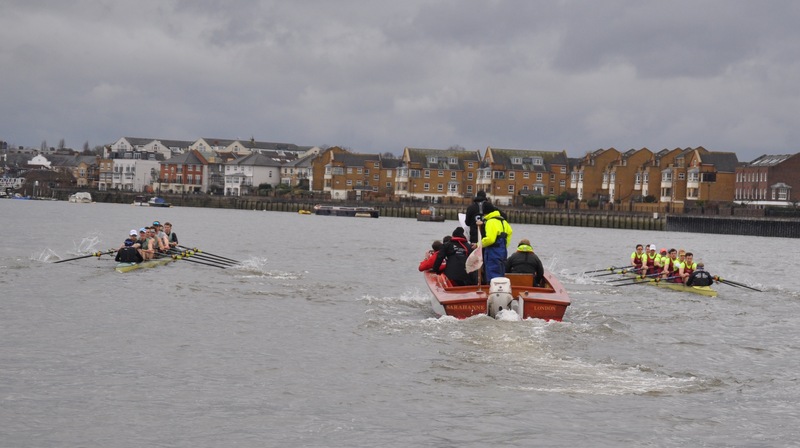 As the crews pass Fulham football club, both crews have been warned by the umpire. Oxford have started to build on their lead. Passing the former Harrods depository, Oxford have moved out to a lead of a length of clear water. 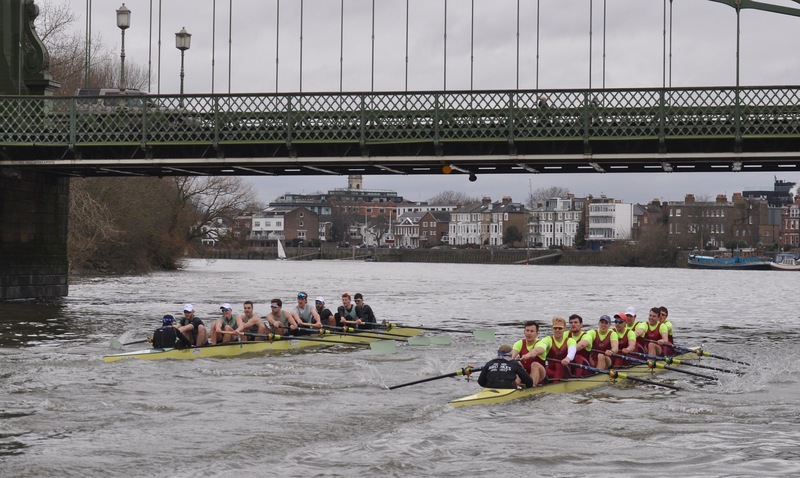 Under Hammersmith bridge now and Oxford have further extended their lead, and moved over towards the Surrey station in front of UL. My view from Hammersmith Bridge: UL have to row in Dark Blue puddles. 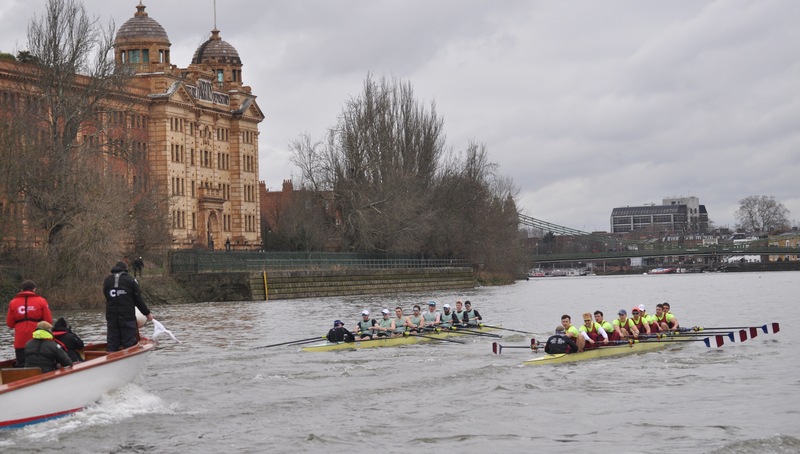 According to @theboatraces, Oxford won ‘by a few lengths of clear water’, a good result for them but one that told us nothing about who may win on Boat Race Day. Perhaps a race held the next day, Sunday, would help in predicting the future? 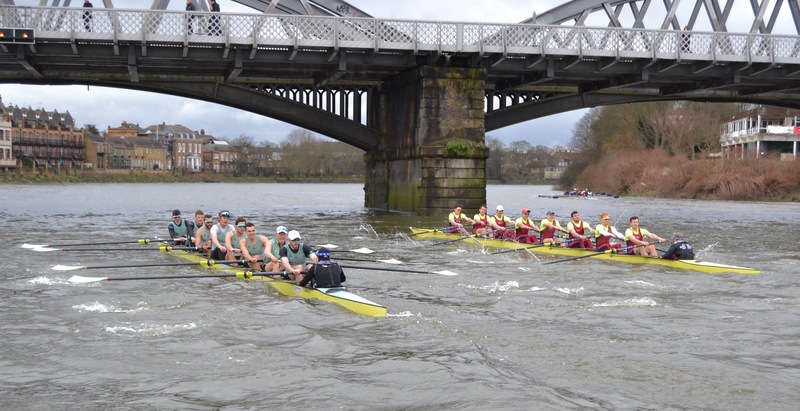 This was Cambridge versus Oxford Brookes University Boat Club (OBUBC). 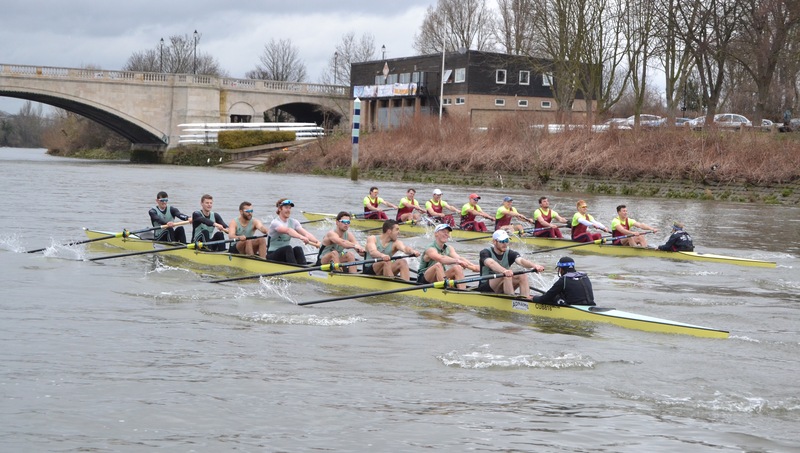 In the previous week, Oxford had lost both their races against Brookes by about a length each time. As usual, the parallax error inherent in picturing a two-boat race from behind and at the side makes the crew closest to the camera look to be in the lead when they are not, or further ahead than they actually were. Cambridge won the toss and chose the Surrey station. 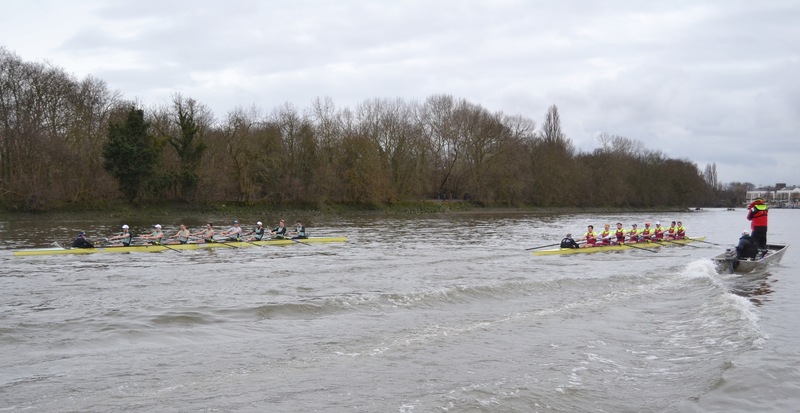 The first piece was from the start to Chiswick Steps, the second from Chiswick Eyot to the end of the course at Chiswick Bridge. 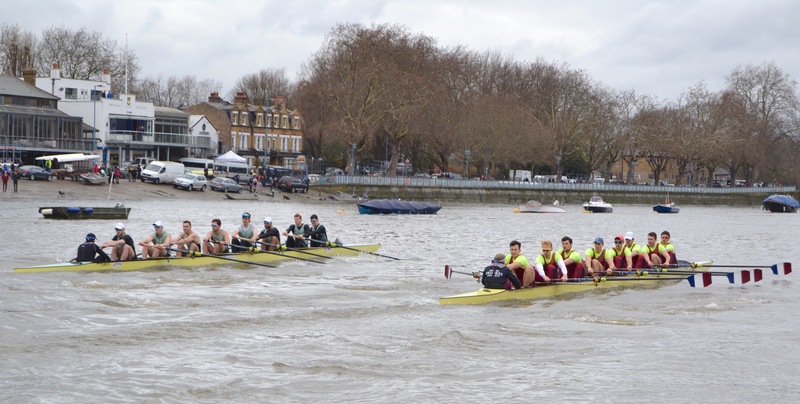 There was a good start from both crews, but Cambridge were a few seats up before the end of the boathouses on Putney Embankment. At Barn Elms, Cambridge were almost a length up – but Brookes kept the work on and the Light Blues could not break away. At the Mile Post. 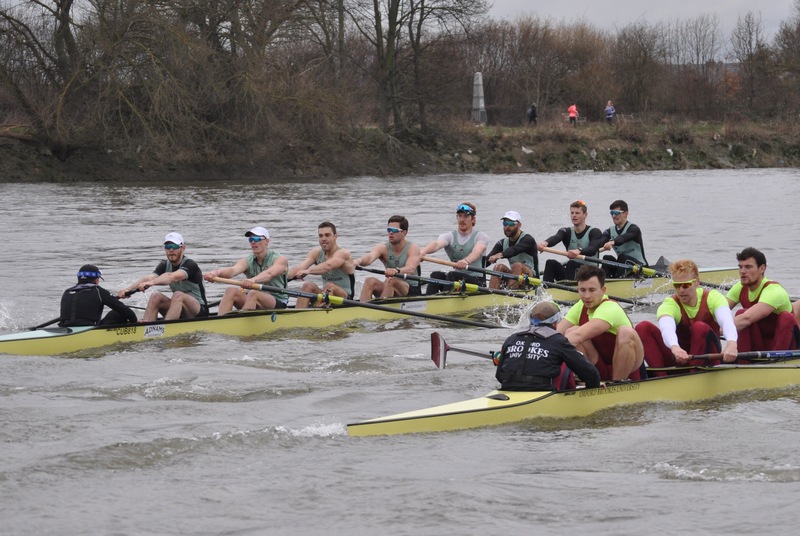 Cambridge’s lead was reduced to half a length as the bend moved in favour of Brookes. At Harrods, it was evident that this was going to be a great race. At Hammersmith Bridge, the bend is in favour of Cambridge, but Brooks stayed with them. Approaching the finish, Brookes, showing power and form, quickly move away from Cambridge. Remarkably, Brookes finish a length up. The second piece started in choppy waters. Cambridge soon took a half-length lead. A clash approaching the bandstand on Duke’s Meadows. Brookes came best out of it. 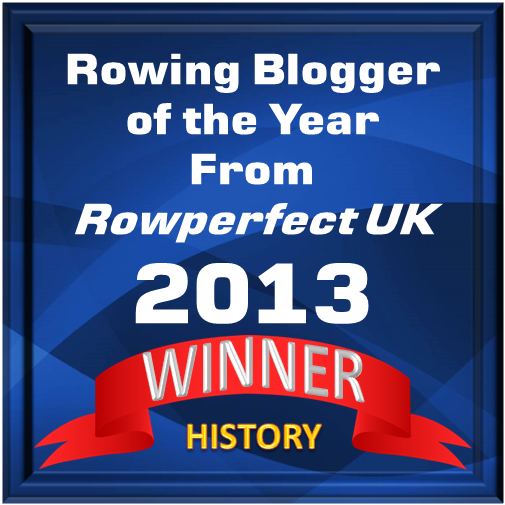 By Barnes Bridge, Brookes had got their bow ahead. Once through Barnes Bridge, Brookes quickly took and maintained a length lead. 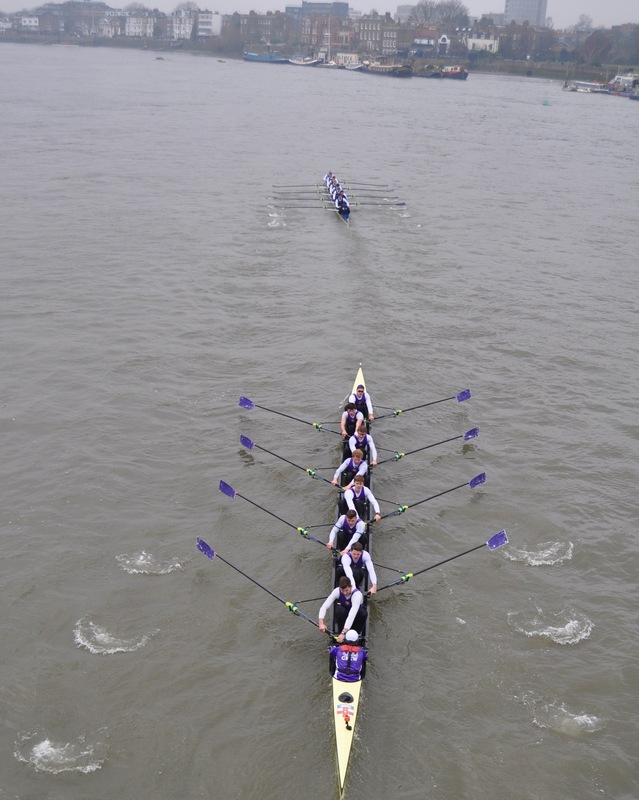 Brookes were a length ahead at the finish – and were underrating Cambridge. 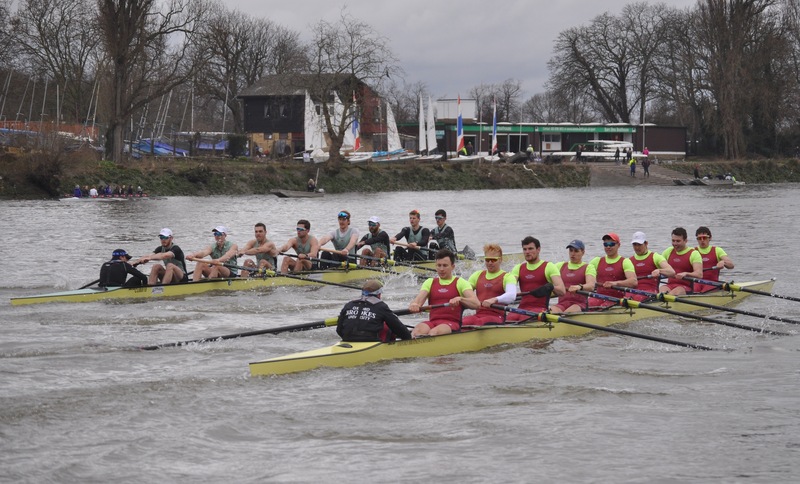 It is probably of little comfort to Cambridge – or Oxford – that narrowly losing to Brookes, with its 31 Henley wins in the last 25 years, is no disgrace. 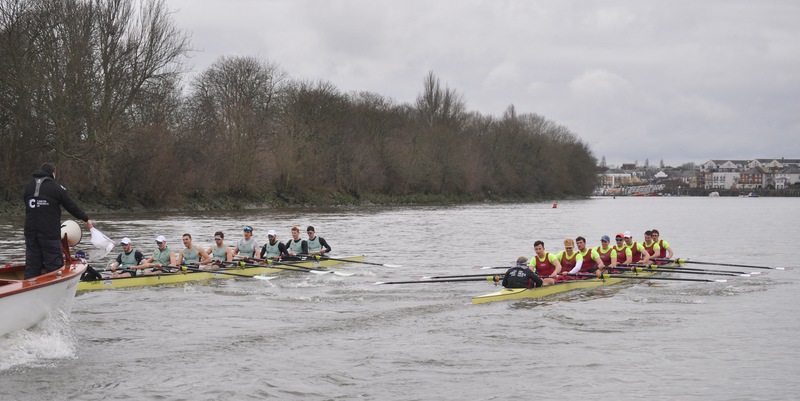 On Twitter, OBUBC claimed that this is the first time that they have beaten both Boat Race crews in the same year and also noted that their 2nd VIII scored wins over both Goldie and Isis. I’ve picked Oxford ahead in four seats with Cambridge ahead in three – and two evens. By that reckoning the Dark Blues should have the edge, but, as a unit Cambridge look to be the stronger… So, despite picking the Dark Blues just ahead in a seat-by-seat comparison, I’m going to go for a Light Blue victory. But, I think it could be very close, possibly one of the closest for many years. Last year, Daniel correctly predicted the results of the men’s and women’s races – though not the distances. 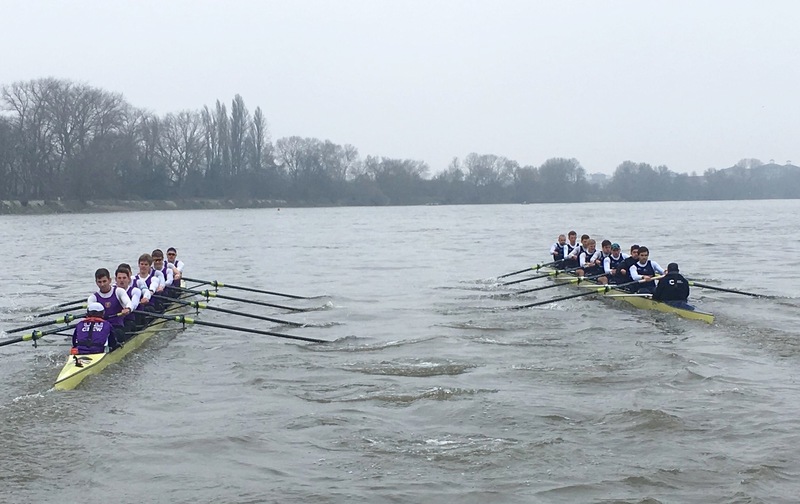 So, both the Oxford and the Cambridge Blue Boats lost to Brookes by around a length each time they went head to head. 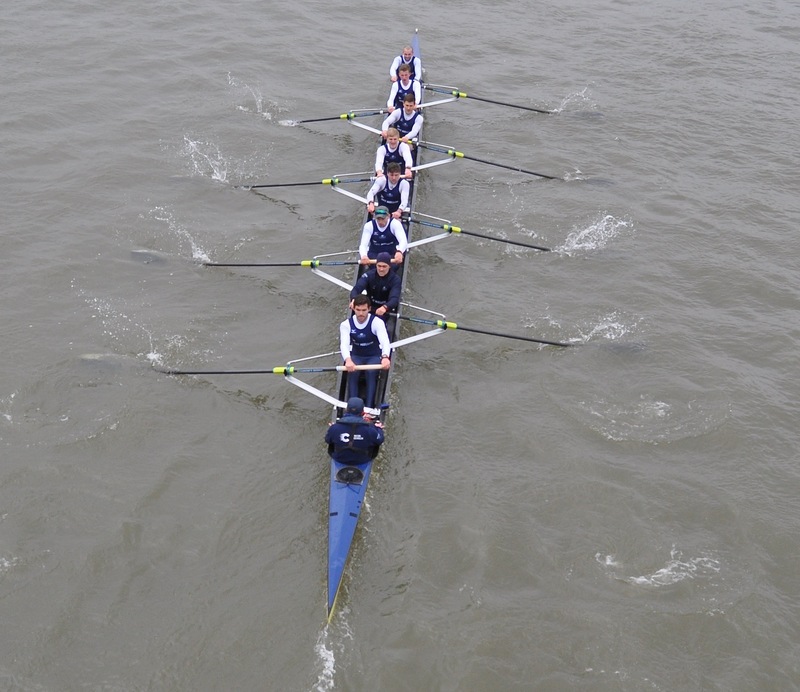 The difference is that Brookes led Oxford for almost all of the duration of their contests, while, when Cambridge raced Brookes, the Light Blues led for most of the first race and for perhaps half of the second. How significant this is can only be speculated on. The only sure thing is that it should be a great and close race between the Oxford and the Cambridge men when they finally meet on 24 March.